Why: A fascinating look at the origins of some capitalist behemoths. You may have heard the saying, “Great oaks from little acorns grow.” The Oxford Dictionary of Quotations tells us that this proverb has its origins in medieval England, but it continues to be an apt description of entrepreneurialism. This is especially true in the context of the huge merchant banks that once dominated—and, in some instances, still do dominate—the capitalist West from the small area known as the City of London. 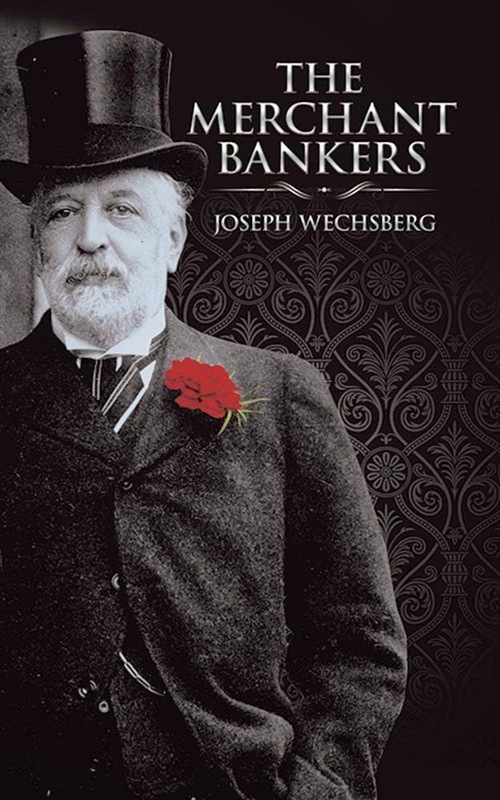 And, to my knowledge, no book describes this world better than Joseph Wechsberg’s The Merchant Bankers. Nearly all of these capitalist empires started as family businesses, where “there is one pioneer, who began with nothing and died rich.” They also originated out of other businesses: “Almost all merchant bankers were merchants before they became bankers. They traded with certain commodities in certain parts of the world, and later found it more profitable to leave the actual trading to others and to deal in credit instead of goods.” The book is loaded with tidbits along these lines. Did you know that Shell Oil (recently reported to be exploring the acquisition of BG for $70 billion) started as a company that traded in shells and grew into an oil company whose name reflects these lowly origins? Even after great success, these dynasties have rarely rested on their laurels. One merchant banker summed up the secret of their success this way: “No one in the City ever stops learning.” That’s something any entrepreneur will recognize as key to the entrepreneurial way of life.